Nigeria's former President, Olusegun Obasanjo has been reportedly spotted in the United Kingdom. 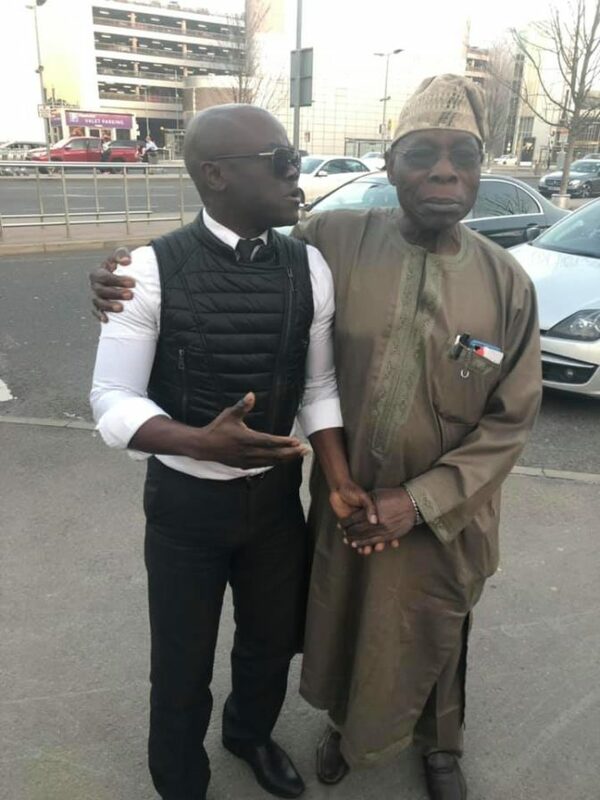 Former president Olusegun Obasanjo has been reportedly spotted in London, United Kingdom after the presidential and national assembly elections which were held last Saturday. Muhammadu Buhari was declared winner of the election. 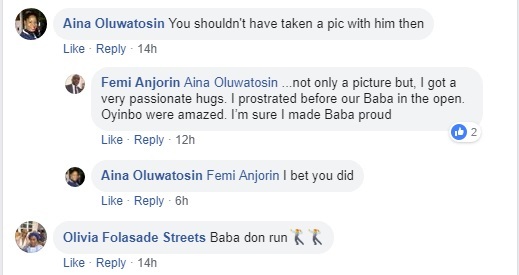 According to a UK based Nigerian man, Femi Anjorin, he revealed that he saw the ex-president yesterday at Heathrow airport. He shared a picture of both of them on Facebook and wrote: Just now at Heathrow airport T3 with Baba Obasanjo. I asked him, “Sir, why did you not support Buhari?”… he couldn’t look me in the face! Baba looked away and say “Nigeria Aa’daa” .